Benefits for our clients, and for yours. Our goal is to make the day-to-day life of our producers and distributors easier, as in doing so this will in turn facilitate the lives of their clients. And we do all this with an environmentally friendly approach. Prioritising our clients is one of Green Box’s central values. We want to offer added value every time they interact with us. Make savings in the transportation and handling of the product. Easy to transport and handle in store. Administrative costs are reduced, without the need of a deposit. The vertical ventilation system guarantees the optimum conservation of the product and reduces damage to transported material. Increased sales due to a personalised and carefully-polished image. Our assembly and distribution centres provide an immediate service so there is no need to keep any more stock than you need. 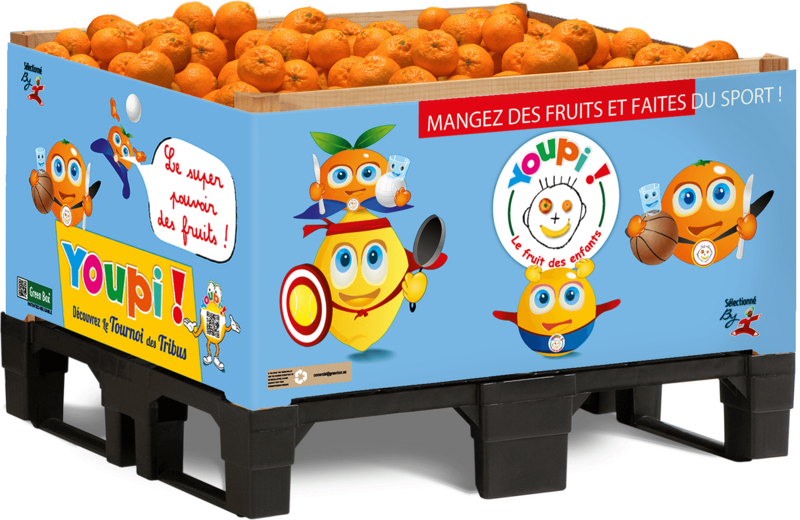 A greater load can be carried due to the reduced packaging weight and simple palletisation. They comply with the European regulations, they require less effort and there is a reduced risk of injuries. All of the materials that we use are 100% recyclable. We facilitate the collection of used material, reducing waste. We pay you for wood and recycled plastic.